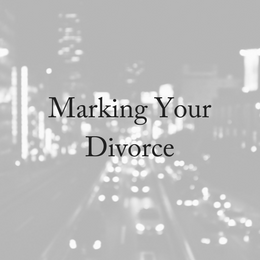 Have you ever thought about marking your divorce? We are creatures of habit and ritual. We mark the important occasions in our lives with particular ceremonies or events. Divorce is an important occasion and different people have different ways of marking that event. For some it is a celebration. 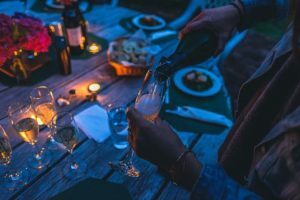 Although traditionally it has been a life event that has not been marked in a particular way except by the stereotypical booze up, times are changing. Part of this is to do with the changing culture around the acceptance of divorce. Whereas it was once quite taboo it has become much more the norm and therefore acceptable to talk about and celebrate. For others it is a decidedly sad time and the marking of the event is not done with flamboyance and a gleeful smile, but a sense of needing to signify the end of something significant and the start of something new. That’s what marking your divorce is really about. Welsh recalls being deeply touched when a stranger on the Tube comforted her as she wept on the way to work, urging her to “be strong”. Others spoke to her to check if she needed help when she had two black eyes following a bicycle accident when she was distracted by sorrow. She made her divorce party a ceilidh, an echo of her wedding day when she had the same Scottish dancing. There was also a wedding cake, a pretty dress and some of the same friends singing the same songs. In her speech to guests, she likened the party to the Japanese art of kintsugi, mending broken pottery with a golden ­lacquer to draw attention to the crack and make it part of the object’s history. Acknowledging our feelings is an important part of the healing process after divorce. Some people liken divorce to a bereavement. It can take a long time to grieve and the rituals we might use at a relationship’s end can help us to be grounded and real in our struggle to say goodbye and to acknowledge the difficulty of this broken place we have found ourselves. 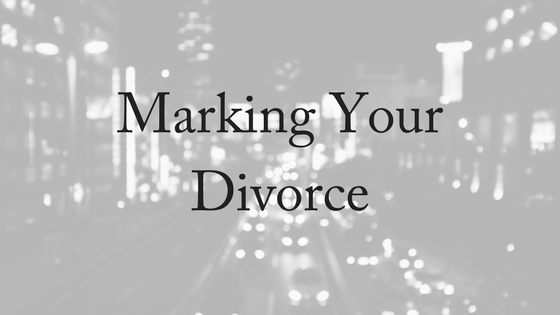 In this way, marking your divorce is therapeutic and helps you through the healing process. I realised my husband was a millstone dragging my life down with his addictions and inability to hold a job long enough to contribute to our lives. On the day I received my decree nisi, I had a celebratory bonfire in my backyard. I put my marriage certificate (on which my ex had scribbled obscenities) on the end of a long stick and toasted it in the fire like a marshmallow. Afterwards, when I received the cash settlement from the sale of our house, I went on an extended hiking and camping tour of the UK. I deliberately spent every penny of that settlement on my trip because I didn’t want any of it left over to contaminate my new life. It was incredibly freeing and a huge relief. My ex-wife was unfaithful and living life together afterwards wasn’t an option. In retrospect the marriage had been dying a slow death for years and we probably weren’t really all that compatible in the first place. But we got together young, had kids and I loved her so we made a reasonable stab at keeping it all ticking along for 10 years. It was painful, but relief kicked in fairly quickly once the shock was over and the divorce became a reality. I felt free. I decided that rather than wallow or let what was the single most traumatic experience of my life pass by without mention, I wanted a ‘wake’ to mark the passing of what used to be my life and (hopefully) usher in a a bright new single future. Bearing in mind I was 35 when all this happened it felt like something to celebrate – the years ahead unwritten – at the same time as laying a life to rest. There was also a sense of wanting family and friends to see I was OK. So I went all-out. I had a house party, invited all my best people, decided to make it 80’s fancy dress and installed a disco ball in the dining room. I just wanted the best party I could imagine, in my house, with only my guest list, my music and my theme. It felt good, and it really did mark the start of my life to come. I realise a party may not be for everyone but not marking what is without a doubt one of life’s greatest traumas seems too much like toughing it out to me. As with all things in life, there’s usually a way to turn even the worst of situations into something positive. This was my way of trying to do that, and it helped. We grew apart. We had married for the wrong reasons, but we’d been good friends before and we were good friends afterwards too. We went out for dinner at a Mexican restaurant in Clapham the day our decree nisi came through. We were ordering aperitifs, starters, the whole enchilada, and the waiter asked “What are you celebrating?” We told him, and he rolled his eyes and said, “I get all the nutters on my tables,” and turned on his heel and walked away. We laughed so much.It was 1995, and I guess divorce celebrations weren’t so common, but ours felt right and worked for us. Just like any other event in life, whether happy or sad, marking your divorce can help you to move onto a happier life. The good news is that you have the freedom to mark your divorce and how you choose to do so is up to you. 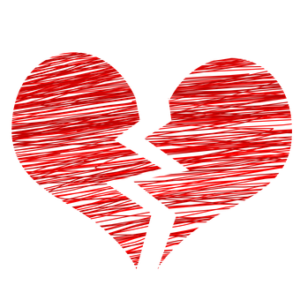 At Divorce Lawyers Brisbane we understand that divorce is not one-size-fits-all. If you would like help with your divorce settlement or parenting arrangements then we can help. Not sure what’s entailed in getting a divorce? Please contact us today. We offer a free, 10-minute phone consultation.